Book Your Cleaning Service Now! 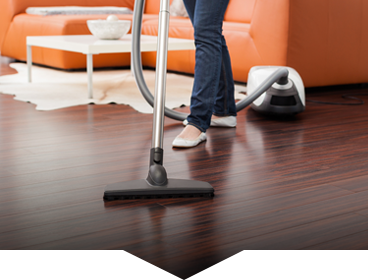 A certified cleaner comes over and cleans your place. Click here for a detailed list of our services. The Deep Cleaners of Kansas City help you live smarter, giving you time to focus on what’s most important. We bring all supplies needed so you don't have to worry about a thing. We rigorously vet all of our cleaners, who undergo background checks as well as in-person interviews. It is important to us that we have your trust while cleaning your home. We are licensed, bonded, and insured as well. Our skilled KC house cleaning professionals go above and beyond on every job. 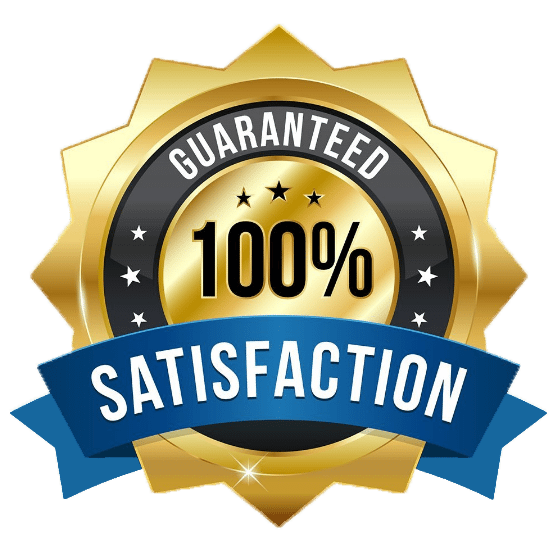 Cleaners are rated and reviewed after each task, we want to wow you every. single. time. We bring our own safe house cleaning supplies. Let us know of any special requests you may have and we’ll do everything we can to make it happen. Online communication makes it easy for you to stay in touch with us. Click here to log in to your account. There you will be able to manage and add notes to your upcoming bookings. We offer online and automatic payment options to create an easier process when squaring away your cleaning bill. Making your life easier makes us happy. We're mobile friendly. Book just as easily from your mobile phone as you can on your computer in just 60 seconds. Wow wow wow and wow! My heart is overwhelmed right now. I've never in my life had someone else clean my house for me and I must say the two cleaners, Sam and Carla far exceeded my expectations. We had gotten waaay behind on our cleaning (that's an understatement) and these girls did a deeeeep DEEP cleaning indeed. Thank you so much and we WILL DEFINITELY be using them in the future and telling everyone how wonderful they are! Deep Cleaners came too my house and I am in awe. I have had two babies in under 3 years and our house showed it. I feel like they touched even inch of our house. I was getting stressed because my family was coming to visit this and I didn't know when I would have time to clean. I was also embarrassed by how cluttered our house was but they didn't seem bothered at all and were very kind. I've had other cleaning services before that I was not at all impressed with. I would recommend them to anyone!! You will feel like you're in a brand new house. Thank You deep cleaners!! WOW what a great job this cleaning company does! If you’re searching for a house cleaning service provider in Kansas City, I know exactly what you are going through. It’s so hard to make the decision to even hire a service, then you have to go through a long process of trying to figure out what company and people you are going to let into your home. We are so glad we hired The Deep Cleaners. They have the best, most genuine and authentic reviews you will find in Kansas City. I can tell you first hand that they live up to their online reputation. We had a team come into our house for a deep clean, and spent most of the day carefully and meticulously cleaning every square foot and surface of our house. We recommend The Deep Cleaners without hesitation and they now work with us on a weekly basis. You can stop your search now, this is "the one" you've been looking for. We love the Deep Cleaners and have been using them over a year now. I am very particular about how I like things, and their attention to detail is always so nice to come home to! We have four dogs and you would never know— they leave the house spotless. My husband and I love The Deep Cleaners. We have four dogs and our house always looks spotless when they are done cleaning. I highly recommend Andrea and her team. They are friendly, dependable and do a great job, and I completely trust them to take care of my home like it’s their own. Great attention to detail! I keep a clean home, but after having family stay for a week over the holidays, I knew I didn't want to spend 3 days cleaning from top to bottom. The Deep Cleaners took care of everything. They were able to schedule a cleaning quickly, the customer service was excellent, and when I got home from work after they did the initial "deep clean" - my house looked and smelled like I had just moved in. Base boards were immaculate, appliances were wiped clean (not an easy task with kiddie fingerprints all over the stainless steel), and all of my picture frames were dust-free. They even cleaned the display cases for my sports memorabilia! I will definitely be using them again and recommending them to my friends. From first call to book service, to the final product, I could not be happier with the service I received. 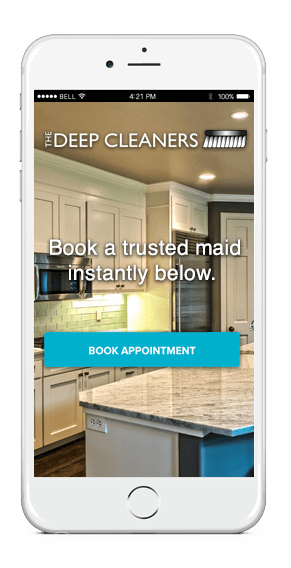 I will be recommending The Deep Cleaners to friends who need similar services. Thanks Carla and team! I hired the Deep Cleaners to come clean our new home while it was still empty (before we moved in) and they did a terrific job. They literally scrubbed and cleaned everything from top to bottom and I felt like I was moving into a new, fresh home. I have nothing but positive things to say and Andrea the owner is very responsive and attentive. She takes pride in her work and is committed to 110% customer satisfaction. I would highly recommend them if you're looking for a deep clean service or just routine cleaning month to month. The crew of three did a great job on my very dirty home. They did a really deep clean of bathrooms, bedrooms,kitchen and all the living areas. Were professional and pleasant. Worked steady with very little chit chat. Would hire them again. In fact planning on them coming once a month from now on.